Rustic Tent - Rent Colorado's only Timbertrac tent from BTR! Benson Tent is proud to announce that we have recently added a new and rare rustic tent, Timbertrac Frame tent, to our inventory. There are few tents made in the industry that have both the elegance and rustic look that this rustic tent possesses. In addition, Benson Tent Rent is the only event rental provider in the Front Range of Colorado that has them available to rent for one’s wedding or event. 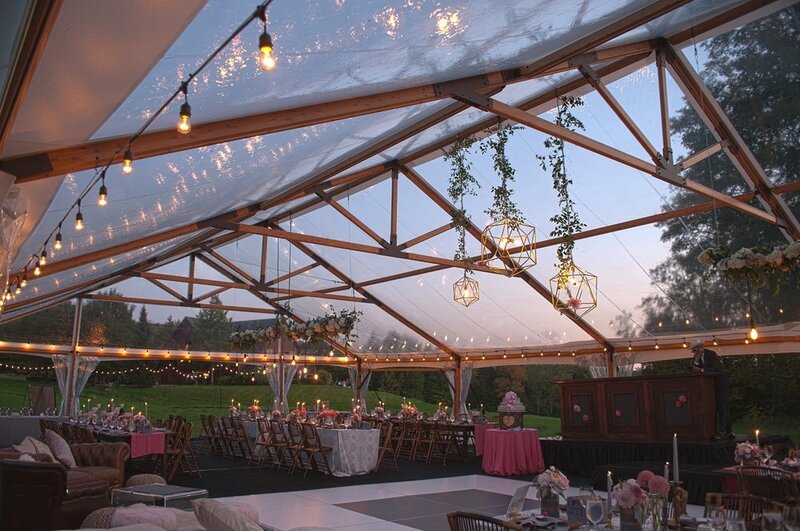 If you’re looking to have a truly original look for your tented event, the Timbertrac frame tent is your best option. The choice is yours: whether you’d like to use the clear-top so that you are able to see the stars at night or the more rustic frame tent look of the of the translucent sailcloth top. Either way, since this tent is very rare, you’ll have a tent for you event that very few others will have used for theirs! If this rustic tent is something that fits the bill for your wedding or event, please reach out to us asap. We have only one Timbertrac tent available in our inventory and this tent is in high demand. 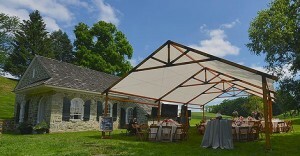 Contact Benson Tent Rent today for more information about the elegant and rustic Timbertrac frame tent!